Please join us for our 2016 patient symposium. This event will provide an update on current management recommendations and available clinical trials for individuals and their caregivers living with Neurofibromatosis Type 1 (NF1) and Neurofibromatosis Type 2 (NF2). Patients and families will also receive practical advice on NF issues that they face on a daily basis. 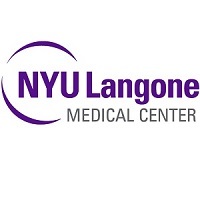 Our speakers are members of the team at the NYU Langone Comprehensive Neurofibromatosis Center. There is no cost to attend the symposium, lunch and beverages will be provided thanks to a generous grant from the Children's Tumor Foundation. There is no cost to attend the forum and lunch and beverages will be provided thanks to a generous grant from the Children's Tumor Foundation. CART services and ASL will be provided. ****** To RSVP, You may call 212-263-2266 or email cancerevents@nyumc.org Please provide your name, phone number, the name of the lecture, your interest: NF1 or NF2 and number of people attending. Kindly inform if you require a Kosher meal. ****** Space is limited, register soon. Hope to see you there! "This event is sponsored in part by the Children's Tumor Foundation (CTF), a nonprofit organization dedicated to finding effective treatments and supporting individuals worldwide living with neurofibromatosis. For more information, please visit www.ctf.org."